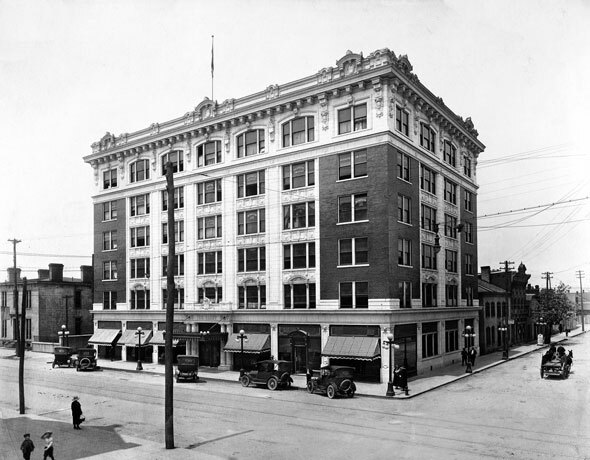 The Elsby, built in 1916 on the corner of Pearl and State Streets, was New Albany, Indiana's first high-rise office complex. It was a testimonial to the art of ingenuity and innovation, incorporating the most modern conveniences available at the time. The German-American Bank & Trust Company, founded by Samuel J. Elsby, occupied the ground floor on the Pearl Street side of the building. In 1917, the New Albany Public Press declared, "Everyone admires the new Elsby." The bank and building remained in the Elsby family until the mid-1960s. The Elsby is one of New Albany's iconic buildings and it has stood the test of time and gracefully defines the city skyline. 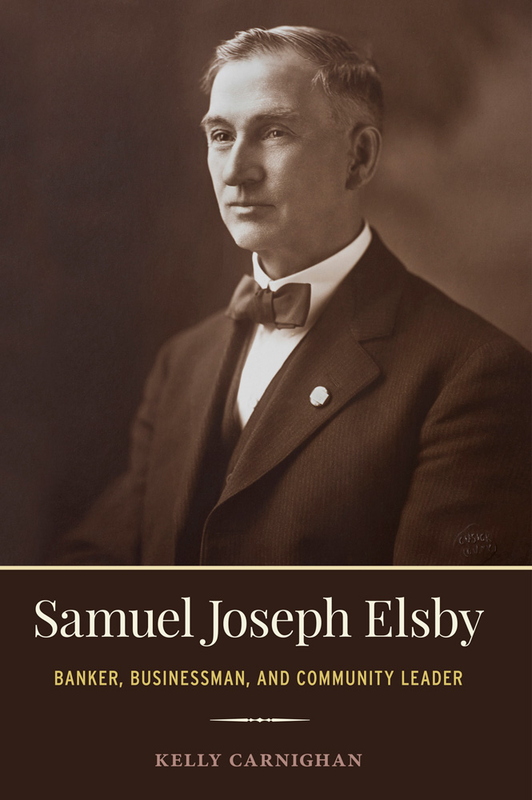 It was Samuel J. Elsby's crowning achievement and is still admired today. When I looked at Samuel J. Elsby's gold pocket watch for the first time, I flipped open the back cover and read the inscription, S. J. Elsby, Cannelton, Indiana. At that very moment, I realized all anyone knew about Samuel J. Elsby was the Elsby name embossed on the front of The Elsby building, located on Spring Street in New Albany, Indiana. I asked myself, who was this man Elsby? Where was he born and how did he come to build The Elsby? The journey retracing the life of Samuel Joseph Elsby began in Perry County, Indiana, and took me to Dallas, Texas. What I learned about the man along the way inspired me to tell his story. From farm boy to banker, Samuel J. Elsby was loved, admired, and highly respected by his family and friends. He left behind a monument to his legacy, The Elsby.